Team Losi now famous for their 1/10th scale offroad cars started with some other products as option parts. One of the early products also were their Revolution motors introduced in 1987. 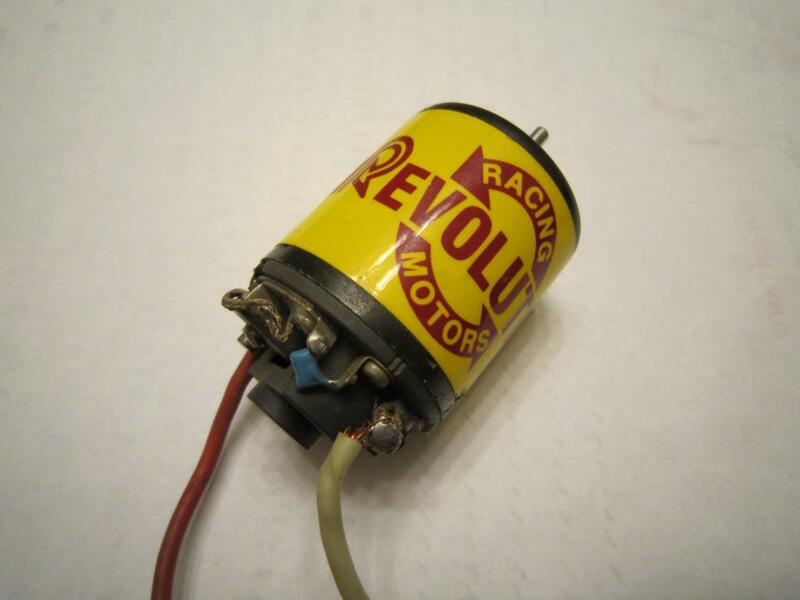 Early Revolution motors were based on Yokomo teardowns but soon they were replaced with Trinity/Epic. All of the motors were made by their motor builder Randy Hunter who was working for famous Big Jim Greenemeyer of Team Checkpoint in the past. One typical feature used at the Revolution armatures was welding the copper winds to the commutator, not soldering as most other manufacturers. This was one of the technologies as used by slot racing motors before and introduced to rc motors by Checkpoint. Beside making some really fast Revolution motors Randy was a very good 1/12th driver also, winning the 1/12th Indoor Nationals Modified class in 1987.